Many cars have featured in movies over the years, but only a handful have left a mark. These stunt cars come with custom features, safety cages, and excellent finishes to fit the hero car profile. And they usually take centre stage at some point in the movie. So here are the top four picks. 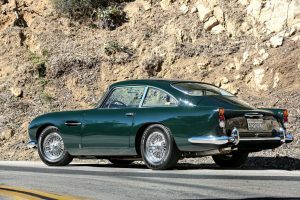 This classic car looks good on its own, but James Bond added the wow factor to it. In the Goldfinger movie, they added special effects to make it spray oil, conceal machine guns, have a smoke screen and much more. And these things made the film quite a success, and that was good news for the DB5. In fact, one of these babies sold for a whopping $4.6M recently. Shortly after the release of Smokey and the Bandit, the Trans Am received special attention from the American market. The film painted a superhero picture in people’s – a thing that boosted sales considerably. Besides, it came with a 200 horsepower engine and better handling capabilities than most cars in its class. After settling on the idea of using the GT 390 as the main character alongside Steve McQueen, its popularity doubled almost immediately – partly because the chase scenes in this movie are some of the best, ever recorded. And the machine came with a top speed of 210km\h and a bad boy profile. Till now, it remains to be a crowd’s favourite. Batman’s rides have always been unique, compelling and downright innovative. But the Batmobile tops this list. In a statement, the producer said that this beast is a combination of a tank and a Lamborghini. And it’s so complicated that even the stunt drivers had to take six months training before taking those machines out for shooting.